Typical autoflowering varieties are developed as a cross between regular, well known varieties, with a fast finishing cannabis ruderalis from Siberia or northern Canada. What happens, when you cross two already autoflowering strains? What you get, is the Sweet Seeds feminized + Speed that is ready for harvest after barely 7 weeks. This particular autoflowering variety was created as a cross between the automatic Critical Mass and Speed Devil #2, both already established autoflowering strains. Selected for their speed, crop size and taste, the parent strains guarantee that the new Sweet Seeds feminized + Speed remains a quality weed. Produces enjoyable, aromatic marijuana with a balanced stone to high effect. Plants reach an average autoflowering size of between 50 and 90 cm, yielding 30 to 150 g per plant or around 450 g per square meter. A real record breaker in terms of speed, with lifespan measured in days rather than weeks. 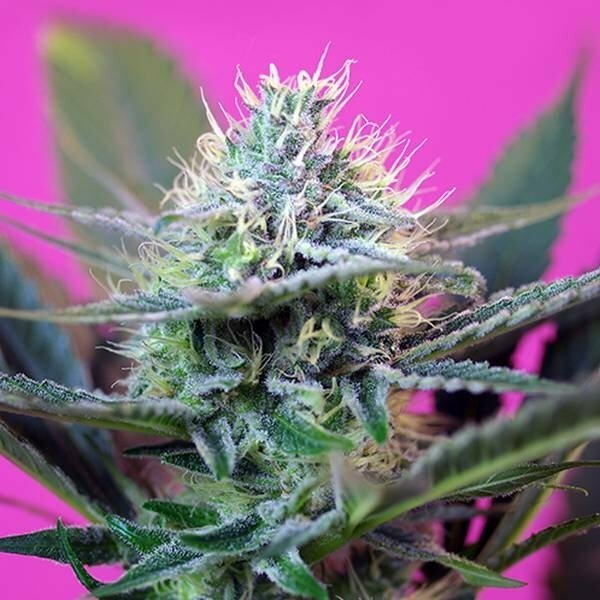 Expect Sweet Seeds feminized + Speed to be fully mature in just 49 days!